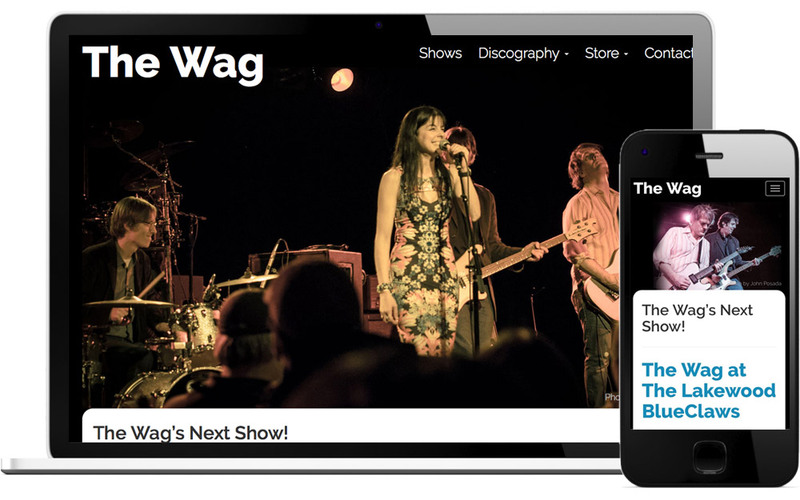 I wanted local band The Wag’s web site to be a great showcase for their music, and perhaps even more importantly, make it easy to find where they are playing next. The site has a good deal of content, so I decided the best course of action would be to split the navigation into two parts. Those parts of the site I considered most essential (upcoming show information, music, store and contact info) went to the top navigation, and the less frequently updated content went to the site footer. The home page has the band’s next show as the most prominent element. For the site’s look, I wanted to feature photos of the band as much as possible. I used large-sized images of the band as header images on the site, so viewers always get a sense of the energy and fun of the band. I used Photoshop to create the site design. Once the band had approved my mockups, I used the Bootstrap framework to speed up front end development, and take care of the heavy lifting of responsive design. I then programmed the front end design into a custom WordPress theme. I used the Event Organiser plugin to make entering and displaying upcoming shows easy, and FooGallery to display photos. WordPress’s built-in playlists took care of enabling music previews for each album. The band was very happy with the end result!